BR Lakota's Rainmaker 5 mos. The half Sulphur's presented on this page are not at this time registered in ASHA. The ideal matings are between Sulphur to Sulphur. To preserve and protect the gene pool of the ancestry of this rare and beautiful Spanish / Iberian horse. 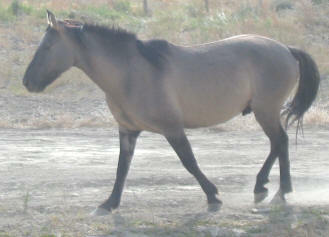 Many half Sulphur horses breedings have produced some nice looking foals. It is suggested that the owner, should GELD any offspring that are colts. 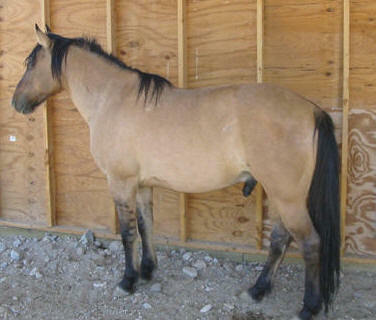 Desert Nutz, a 2000, Gelding. 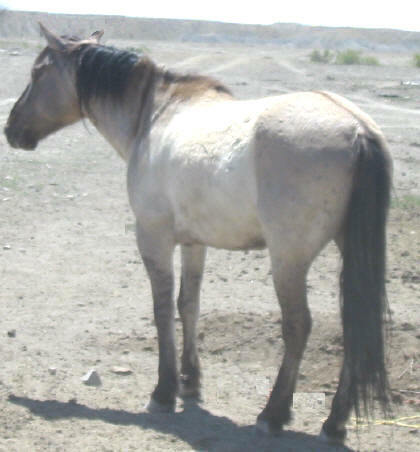 Mom was a mustang from Utah and dad is Sulphur Prince. Desert Charm a 1999 Gelding. Mom was a Palomino Fox Trotter and dad is Sulphur Prince. Dun Dreamin' a 2000 Gelding. 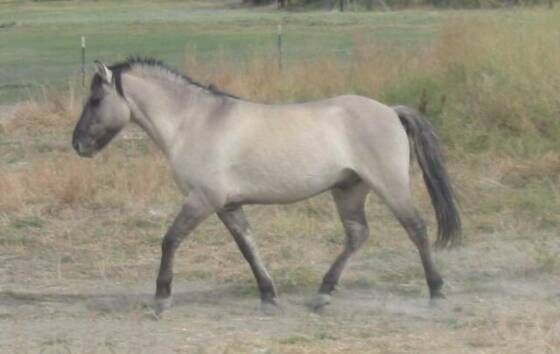 Momma was a mustang from AZ and dad is Sulphur Prince. Desert Tiger a 1990 Gelding. 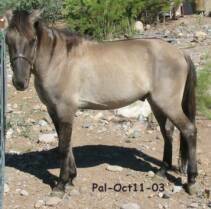 Desert Pal a 2001 Gelding. 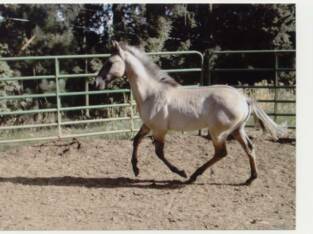 Mom is a Palomino Fox Trot and dad is Sulphur Prince. Dunny Utah born April 2002. 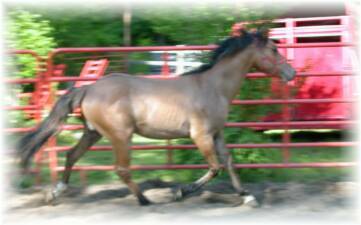 Freddy Prince Jr 2002, Gelding. 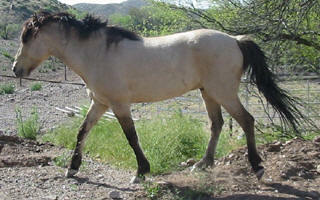 Mom was is a Utah mustang and dad is Sulphur Prince.